DOYLESTOWN, PA, October 10, 2016—Doylestown Veterinary Hospital announces the addition of Holistic Pet Care. Pet parents seeking more natural and effective choices for the overall wellness of their pet now have exciting new options. The blending of conventional medicine and holistic therapies offers customized care. Healing is focused on the individual pet rather than a standardized approach to treating a disease. 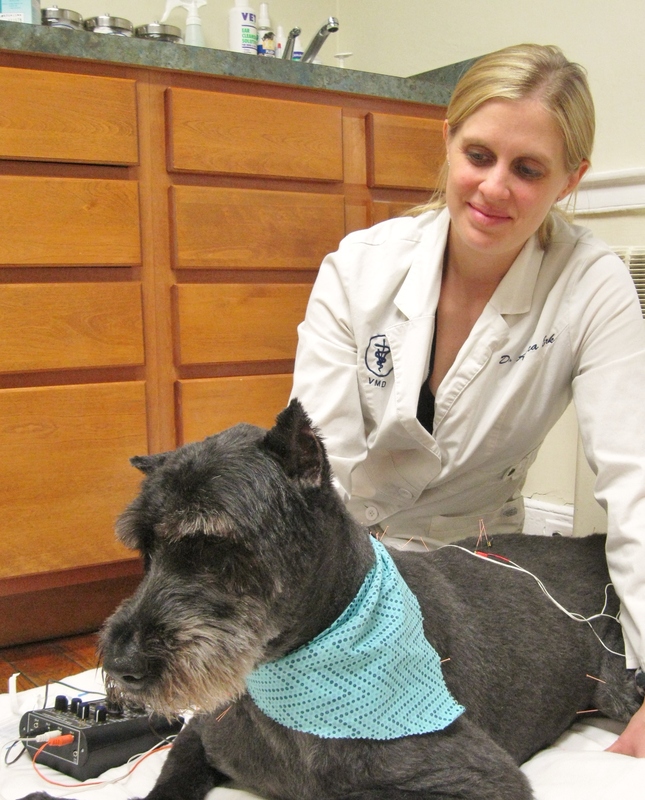 Holistic therapies include veterinary acupuncture, herbal remedies, homeopathic medications, nutritional counseling, targeted supplements, and cold laser treatments to improve the health of dogs and cats. “Doylestown Veterinary Hospital has been integrating holistic modalities like acupuncture and laser therapy with our conventional offerings for some time, and we are excited to expand our holistic services to provide therapeutic options that improve the lives of our patients,” said Dr. Laura Weis, who owns Doylestown Veterinary Hospital & Holistic Pet Care with her husband Dr. Randy Weis. On staff, Drs. 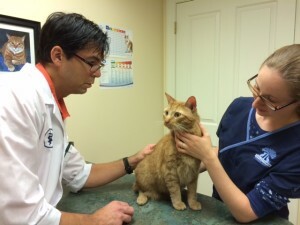 Ashlea Erk and David MacDonald are certified veterinary acupuncturists. Dr. MacDonald also has years of experience working with Chinese herbal therapies. Dr. Laura Weis’s practice is limited to homeopathy and nutritional counseling. “Homeopathy is a medical science that treats the whole pet rather than just the physical symptoms. It works by stimulating the body’s own immune system to activate the healing process,” added Dr. Weis. She has worked with clients to treat both acute and chronic conditions such as asthma, urinary tract disorders, allergies, and joint diseases. The benefits of these holistic therapies can include: reducing or eliminating side effects from conventional medications, better pain management and mobility for aging pets, truly addressing chronic diseases, improved healing, strengthening the immune system, and a reduction of healthcare costs over the life of your pet. “Offering conventional medicine and holistic therapies allows our medical team to provide highly individualized pet care. We can select from multiple modalities to achieve the proper balance for a healthy life or provide a unique and more effective treatment of a chronic illness,” explained Dr. MacDonald.